SURVIVOR railroad track scales incorporate Rice Lake’s best-in-class weighbridge design to create a rugged, accurate, heavy-duty weighing system. 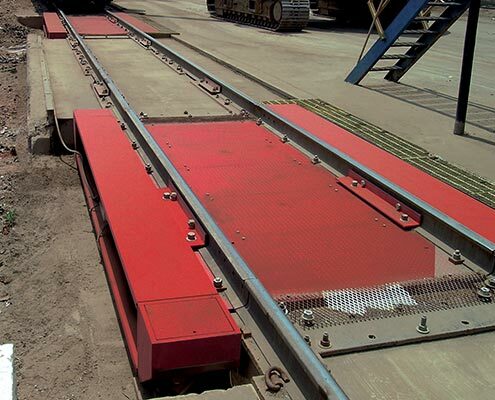 Used in static weighing operations, the SURVIVOR PL Modular Type railroad track scale excels in high-accuracy, Legal for Trade weighing and meets AREMA and Cooper E-80 design specifications. The SURVIVOR PL is a low-profile, pitless, modular railroad track scale. This heavy-duty workhorse is manufactured with more steel content than competitive models to provide decades of accurate rail car weighing. Both full-draft and two-draft weighing is available. Due to the variety of configurations, please consult the factory to discuss application requirements and for complete specifications and price quotations. 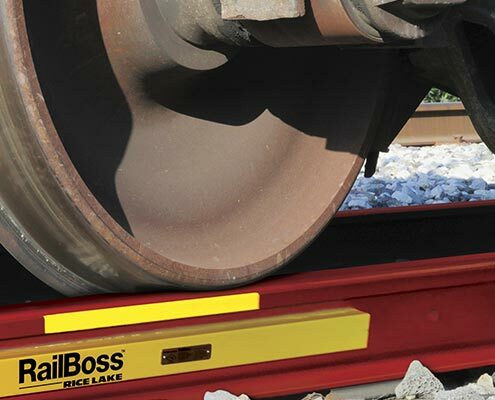 For weight verification and other non-NTEP needs, the RailBoss rail scale is a cost-effective and easy-to-install method for weighing stationary railroad cars. 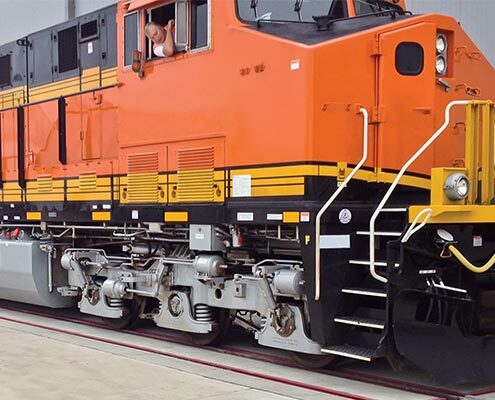 Powered by Rice Lake’s 920i® and RailBoss software, RailBoss can be purchased as an eight-section full-draft system, or a simpler four-section double-draft model. RailBoss utilizes MS quick-disconnect cable connectors to reduce unexpected maintenance and repairs. The enhanced cable connectors automatically release before reaching damaging tension, saving valuable repair time and replacement costs. SURVIVOR railroad track scales incorporate Rice Lake’s best-in-class weighbridge design to create a rugged, accurate, heavy-duty weighing system. Used in static weighing operations, the SURVIVOR RT Pit Type railroad track scale excels in high-accuracy, Legal for Trade weighing and meets AREMA and Cooper E-80 design specifications. The SURVIVOR RT is a pit-type, rail/truck combination scale. 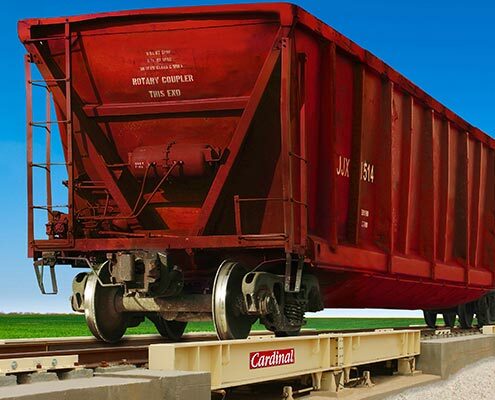 Perfect for weighing a variety of car sizes, the SURVIVOR RT is capable of weighing rail cars as well as trucks. This scale is ideal for bulk cement, aggregate, grain, scrap metal and chemical applications. Cars can be positioned anywhere on the scale and a wide range of platform sizes and capacities provide accurate weighments.